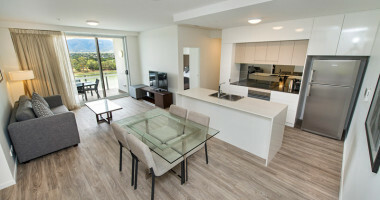 Modern Luxury in a Two Bedroom River View Apartment at Empire Apartment Hotel Rockhampton. 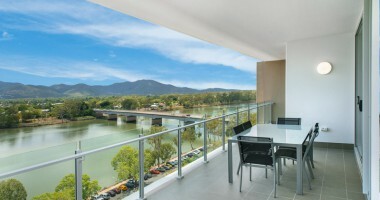 Our spacious Two Bedroom fully self-contained apartments feature stunning views of the Fitzroy River and Berserker Ranges. The master bedroom in the Two Bedroom River View Apartments at Empire Apartment Hotel Rockhampton is also available as a Twin Room (King bed in the master suite split into two) upon request. The second bedroom is only available as a Queen bed. 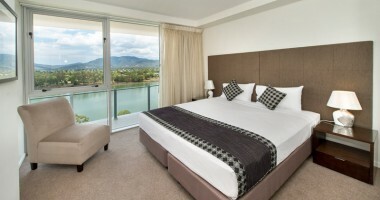 Two Bedroom River View Apartments at Empire Apartment Hotel Rockhampton have a maximum occupancy of 4 people.